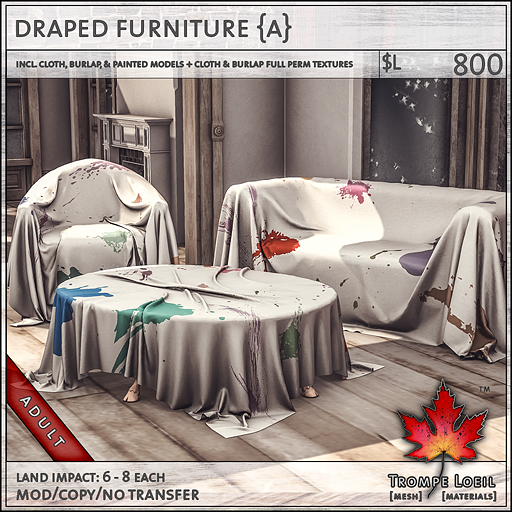 Its getting chilly outside – time to cover up with our new Draped Living Room Set at FaMESHed October! 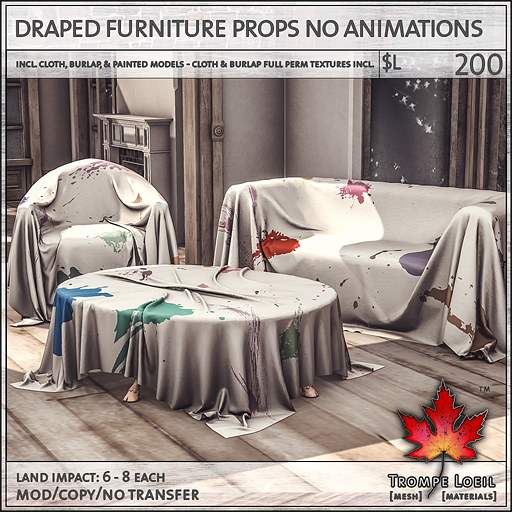 The Draped Living Room is just the thing for bloggers looking for that transitional, cluttered look, or anyone who loves the raw lived-in style that a simple fabric drape brings. We include your choice of maturities or a non-animated set at a deep discount perfect for photo props, plus each version includes clean cloth, clean burlap, and painted cloth versions plus full permission copies of the cloth and burlap drape textures so you can make your own unique look! 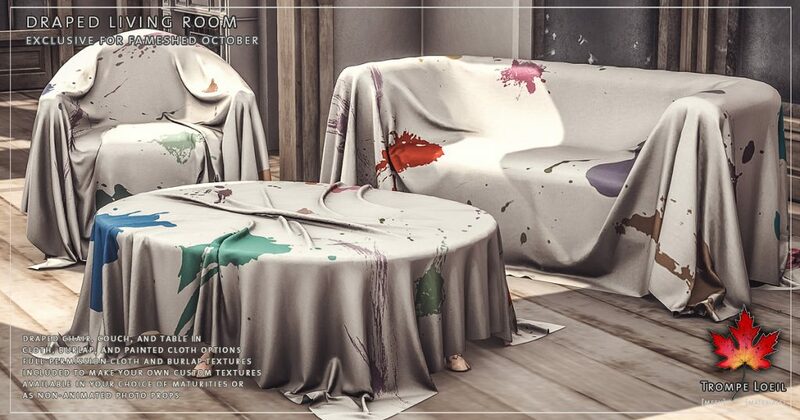 Only at FaMESHed October!